Simatic S5 is ranked among the most spread control systems in the branch of industrial and production automation. 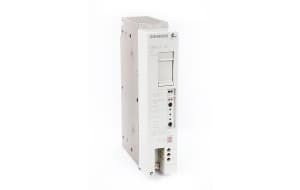 During more than 20 years in the market, Simatic S5 series has become a standard among control systems. Success and popularity of Simatic S5 systems are based especially on their capabilities to control a very wide scope of jobs. Each of its modular components is to control specific task. And this is why you can extend the system exactly as you need. Despite Simatic S5 can handle numerous tasks reliably even nowadays, when there is a lot of technological changes, many manufacturers are continually replacing that with Simatic S7.